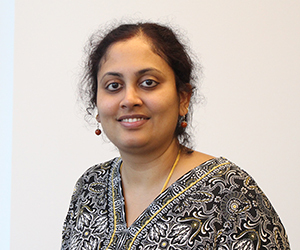 Nandita Sridhar is a PhD student at the Grady College of Journalism and Mass Communication, Department of Entertainment and Media Studies. Prior to pursuing her doctorate, Nandita spent more than five years working as a journalist in India. She has a Bachelor’s degree in Mathematics and a Master’s in Communication. Her research looks to explore the intersections of media, communication technologies and discursive formations of health. Nandita Sridhar. “Body Unbounded: Media Technologies and the Perpetuation of the Healthy Individual Body.” Accepted for presentation at the “What is Media?” conference, Portland, Oregon, April 14-16 2016. Wojdynski, B.W., Espina, C., Northup, T., Bang, H., Lee, Y., & Sridhar, N. (2015, August). “Exemplification in Online Slideshows: The Role of Visual Attention on Availability Effects.” Accepted for presentation at the 2015 Association for Education in Journalism and Mass Communication (AEJMC) Annual Convention, San Francisco, CA.